Initial Coin Offerings > Venture Capital? We recently went over the basics of blockchain and Bitcoin in in our latest webinar, and one of the main topics surrounded the ICO, or initial coin offering, as creating a more equal and de-centralized playing field for people with ideas that want to turn them into companies. So what exactly is an ICO and how it is different from blockchain and bitcoin? Here are some of the excerpts from the second half of our webinar on all things Bitcoin, Blockchain and ICOs featuring Centrality’s CEO Aaron McDonald, who saw investors buy up their ICO up to $80 Million in just six minutes! The explanation of an ICO has to start with the ‘c’ part, which stands for coin. That’s a digital coin, or token, which tries to assign a value to a digital, blockchain based protocol. What*&%? Think of Kodak’s KodaKCoin, which will use blockchain technology to create an “encrypted, digital ledger of rights ownership” where photographers can simply and securely register their new and old work, and get paid automatically in KODAKCoin for any usage of their work. Pretty slick, no more sending invoices or chasing down rights infringement. That whole process/business idea can be thought of as a digital protocol. So, how do you get started with this sort of thing? Who has the first KodakCoins and what are they worth? That’s the point behind an ICO – to build the base of digital tokens to support the digital token economy/protocol/network you’re trying to build. So, ICO’s are one part Kickstarter, one part giveaway to early adopters, and one part IPO with founders getting a liquidity event. 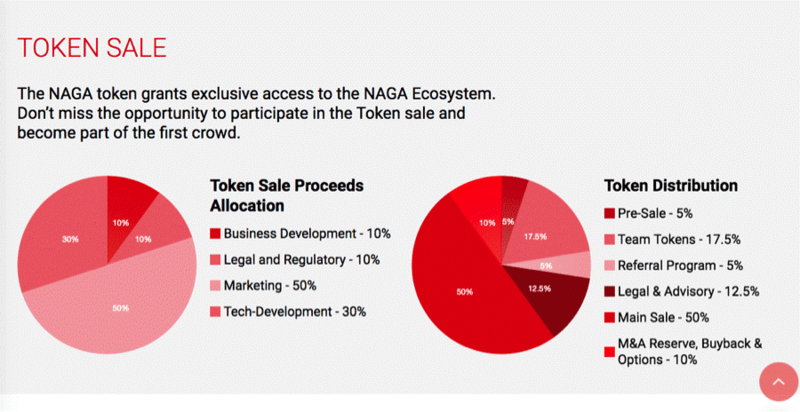 Here’s an example of how an ICO is broken down, with two parts – how the tokens are distributed (pre-sale, founders, etc) and how the proceeds will be used (legal, biz development, etc). What are the important things to people – what are things you spend your time and money on and we found these 18 things on the screen. We found and created businesses in each one of these areas. If you look at the activity in blockchain or ICOs, 90% is just an idea on paper. So you’re investing in the idea on paper, or the idea that they can execute on that idea. We decided to take a different approach, and build a business around these ideas, prove that they work, build the technology to make sure that they work, and then go into the token rate after that. For Aaron, investing in blockchain technology isn’t just about blockchain itself, but when blockchain can do for all who participate. A simple example of what they might look like in the future is Uber. Imagine a world where Uber, the drivers, are earning a part of the ecosystem every time they drive. The consumers who are participating as also earning in the ecosystem. The earlier adopters earn a little more than the late adopters. But the people who help grow it, become the beneficiaries of the growth. Without having in Uber in the middle. We want to build a de-centralized business model. Our motto is to create 1,000 zebras and not 1 unicorn. I think a sustainable future is a more – a future that has more equality in the economic system than it does today and we want to create a marketplace and a customer experience whose helped create these businesses, are the true beneficiaries. I think that’s the key to understanding the long term blockchain system is, you can have these three way economic models where infrastructure providers and consumers can share in the upside value. It’s a little buyer beware. You must be doing the same type of due diligence as a traditional startup or venture capitalist investment. We see a lot of ICOs that have an uncapped [asset raise]. We think that’s irresponsible. If you see something like that, you should be questioning why there isn’t a cap. How much money do you need to create a system that you’re trying to sell to people. Until we get to the point where the consumer experience is as seamless as using WhatsApp, there will be a hurdle towards adoption. So we need to focus on infrastructure. To hear more about Centrality from Aaron and other blockchain technology insight, download our recording of the conversation here.